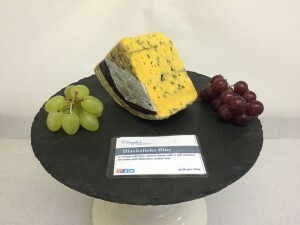 A distinctive coloured hard cheese with a sweet creamy flavour and a firm texture with a slight crumble. A white , buttery hard cheese with a creamy rounded flavour that is cloth bound for a natural rind. 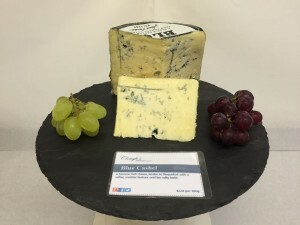 A blue semi-soft cheese with a creamy, smoky oak flavour. The cheese is matured for 6 months then smoked over local oak chips. an Irish brie with a smooth, buttery semi-soft cheese with a smoky oak tang and matured for 6 months. 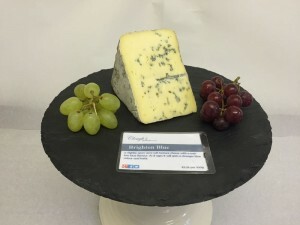 A soft melt in the mouth textured blue with a mellow flavour similar to a Gorgonzola, perfect for both stilton fans and those who prefer a milder flavour. is moist crumbly textured blue cheese made from ewe’s milk. It has a rich and slightly sweet taste that is similar to the French Roquefort but not as salty. an extra mature cheddar style cheese with a smooth and creamy taste and unique texture. 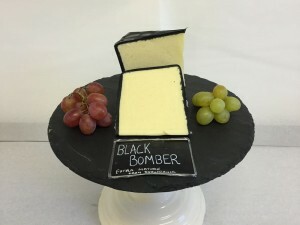 It is made by the Snowdonia Cheese Company in North Wales. a unique soft blue veined cheese with a rich and butter taste and distinctive amber hue. a strong blue cheese, made in France, similar to Roquefort with a creamer taste due to being made with cow’s milk instead of the traditional ewe’s milk of the Roquefort. a famous Irish cheese similar to Roquefort with a softer, moister texture and less salty taste. the traditional firm textured Cheshire with a light blue veining often sharp when young, getting stronger as it ages. 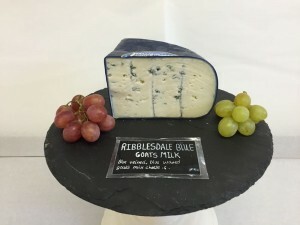 a creamy textured cheese with cracks of a strong blue taste, it is made by Alex James of Blur in Scotland. 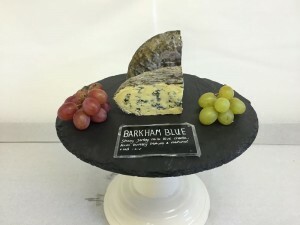 a distinctively flavoured blue cheese made from ewe’s milk, it has a sweet taste with a long lasting after notes. A Traditional Welsh cheese with a young fresh flavour and a firm, dense, crumbly texture. A mild French brie perfect for sandwiches and those who prefer a less intence flavour. Named By King Louis XVI of France as the ‘King Of Cheese’ for its unarguable flavour and texture. It has a rich milky taste underlined by a sweet truffle flavour. a full bodied French cheese which becomes more distinct with age. It is best served at room temperature when it is soft and runny. a slightly open semi-soft texture cheese with a mellow blue flavour. As it ages it will gain a stronger blue colour and taste. a soft a creamy cheese with a mellow flavour. It is made by The High Weald Dairy in Horsestead Keynes by rind washing a six month matured St Giles cheese. A creamy, delicate and silky flavoured soft cheese with floral notes and a sticky texture. 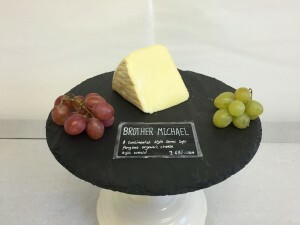 It is made by the Traditional Cheese Dairy in Stonegate East Sussex. 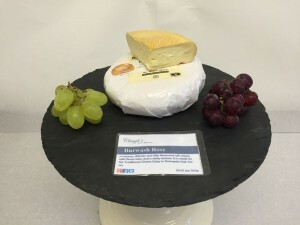 a multi-award winning cheese from the Caws Cenarth dairy. The cheese has a fresh lemon taste with delightful creamy after tones and a crumbly texture. 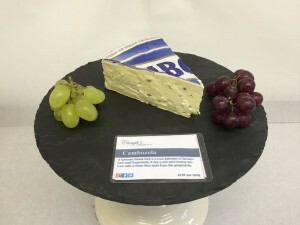 a German cheese that is a cross between a Camembert and Gorgonzola, it has a rich and creamy texture with a sharp blue taste from the gorgonzola.